A unique two panel system like no other. Silvelox, the manufacturer of some of the world’s finest garage doors, has announced two firsts for the company: the introduction of a new door technology and the decision to give garage door providers the opportunity to act as resellers. In a major departure from the company’s standard business model, Silvelox is inviting expressions of interest from businesses to act as resellers for the significant new technology – known as Overlap – and benefit from association with this prestigious manufacturer. Well, there is a strong clue in the name, because the technology involves splitting the garage door into two panels and overlapping one panel above the other as the door is raised. 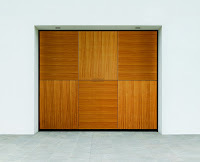 The result is an overhead panel door that gives minimal intrusion into the garage itself. So little intrusion in fact that there is no need for the guide rails that create so many problems in traditional overhead doors, even the motor is integrated invisibly in to the head of the frame. 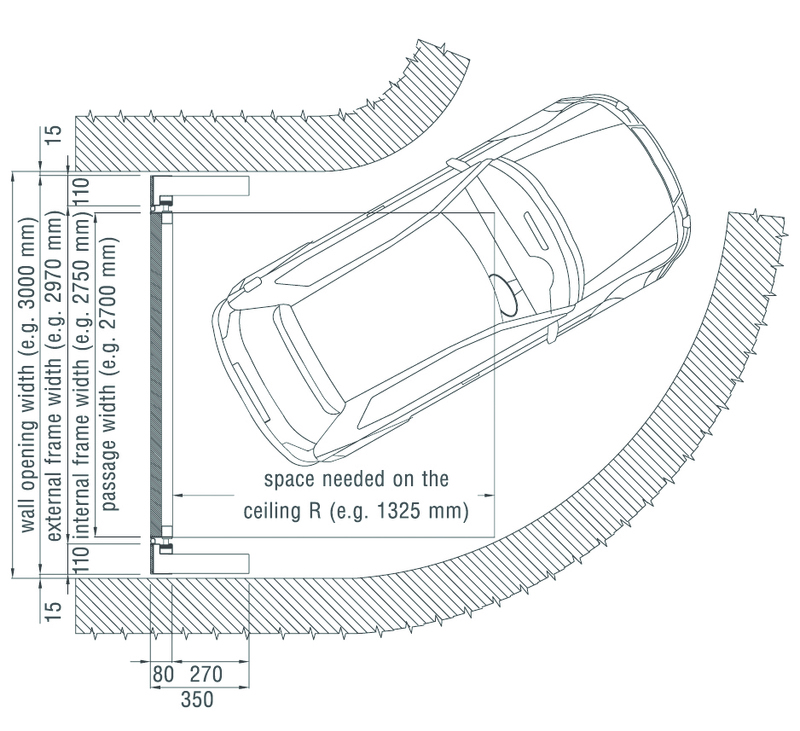 Not only does Overlap take up less space within the body of the garage, it also allows you to use more of the door opening height. In fact, in the open position, the underside of the raised door is just 180mm below the top of the frame, which will usually mean the structural opening is reduced even less. A small difference perhaps but it may mean vehicles traditionally too high for a given door opening can now be accommodated. The minimal intrusion of the Overlap technology also opens the way for the use of overhead doors on non-standard spaces, say with oblique access (see below). The absence of ceiling guides means that awkward overhead beams and vaulted spaces are no longer a barrier to a Silvelox door. 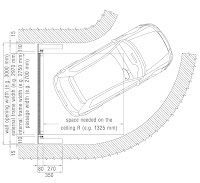 Furthermore, Overlap technology allows the vehicle to park closer to the door than ever before, both inside and outside the garage, because of the minimal sweep of the split panels as they raise or lower. A boon for the shorter garage or where the garage entrance is close to the highway. Watch the door in operation on YouTube below - you will be amazed at how it works, we were! Choosing Overlap from Silvelox not only frees you from the need for intrusive tracks and saves you precious extra space, it opens up a world of choice in the finish to your new garage door. 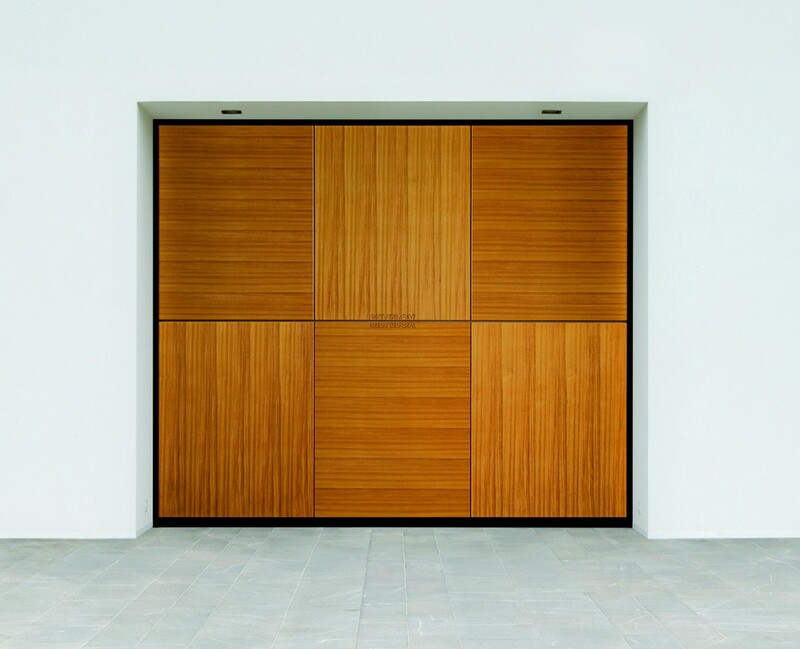 The name Silvelox has long been synonymous with the finest garage doors and the full range of Silvelox finishes is available for Overlap doors, including their exclusive Multi-Ecowood panels. Solid timber doors are possible with Overlap because the technology can handle doors that would be too heavy for traditional mechanisms. Choice is further enhanced by the ability to add windows panels for improved vision and the ability to let natural light into your garage. Ventilation grilles (circular or rectangular) can also be inserted into Overlap doors. As if all this were not enough Overlap technology is virtually maintenance free. An easy thing to claim perhaps, but Silvelox back this claim with a full ten year guarantee. Opportunities like this do not come along very often. Overlap is a totally new type of garage door that will appeal to a wide range of users, including many who may previously have thought that Silvelox quality was beyond their reach. If you supply garage doors and have wished you could offer the Silvelox brand to your customers, this is the chance you have been waiting for. Ring Silvelox today on 0800 915 1019 and ask about becoming an Overlap supplier, alternatively email them at sales@silvelox.co.uk . Legbud Announce New Products and Designs!